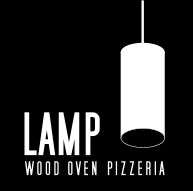 RESERVATIONS: LAMP Pizzeria takes a limited amount of reservations of parties between 6-10 people. Please call the pizzeria for availability. TO GO ORDERS: A limited amount of To Go Orders are available nightly. To Go Orders can take anywhere between 15 minutes to 120 minutes depending on orders ahead of yours.